Looking to pick up SPOC’s newest comp zine Worst Breakup EVER ? Set your sights on Quimby’s Bookstore and grab one while you can. Out-of-towner? You can purchase it online at quimbys.com. Hey there lovebbugs! TMRW 2/26: Don’t miss out. It’s the Anti-Valentine Heart Wrencher Night @ Uncharted Books (2620 N Milwaukee Ave) at 7:30. We’ll be debuting our brand new Worst Breakup EVER zine as part of the event. A mere $3 gets you tales of woe, heartache and thank-God-I-dumped-that-turditude. Readers/performances include: Victoria Harley, Tony Jeswald, Liz Mason, Mike Vinopal (in abstentia), Nicki Yowell, Rachael Zalutsky, and Peyton Stewart. The whole soiree will be sponsored by our friends from Radio One Chicago so show up early for awesome swag and the skinny on the raddest in Chicago music. As always, donations accepted on behalf of SPOC and BYOB. Bring cash fo zines. Thanks a bundle to all the folks who contributed to the zine. It’s been a minute since we made a collab zine and it sure is awesome! 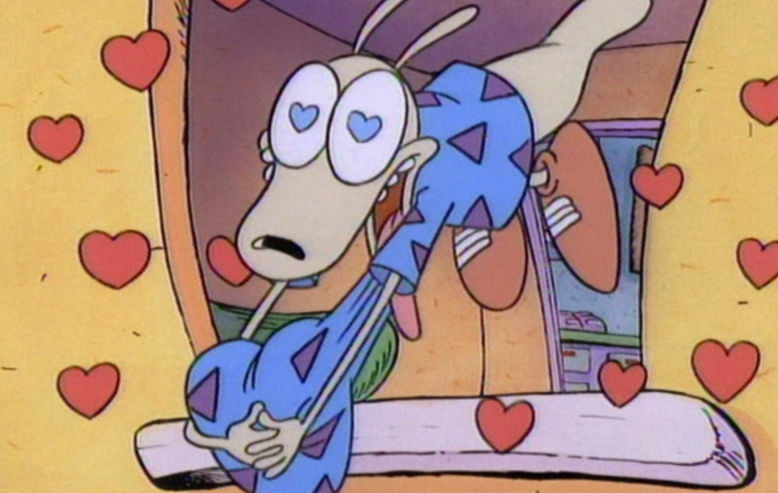 1 Week Left To Pour Your Heart Out! You have a mere week to put the final touches on your harrowing breakup tales! 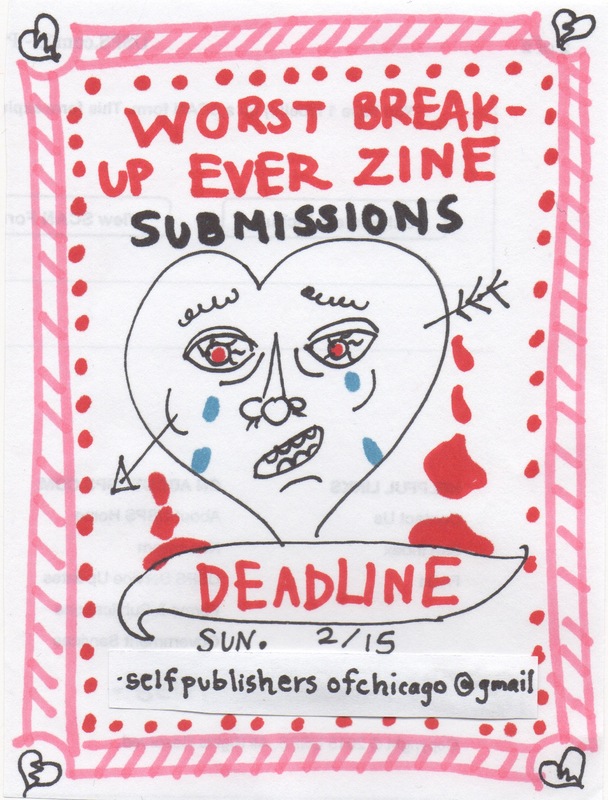 The deadline for our Worst Breakup Ever zine is midnight next Sunday 2/15, the day after V-Day for you laymen out there. Send submisshes to selfpublishersofchicago@gmail.com. Selected submissions will be read at our Anti-Valentine Heart Wrencher Night at Uncharted Books on Thursday 2/26.